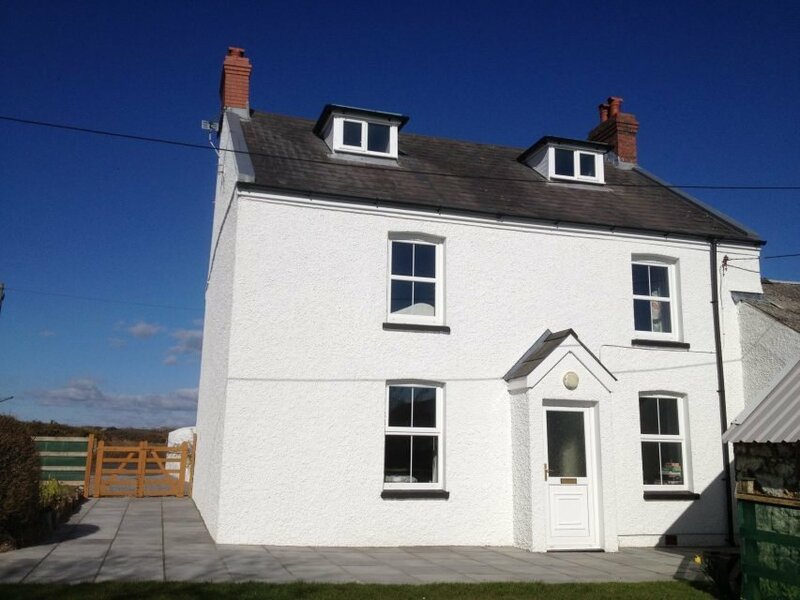 A traditional four bedroom farmhouse and adjoining Bus House in Rhossili, Gower. Available separately or together for larger gatherings. 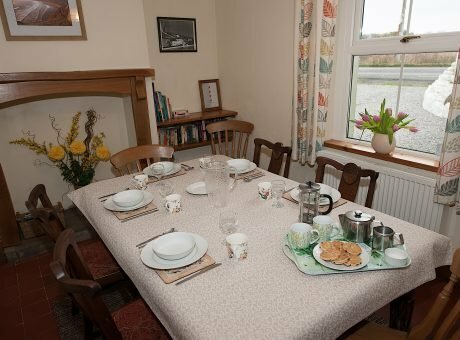 Pitton Cross Farmhouse is a 4 bedroom farmhouse that will comfortably accommodate 8 people (extra guest beds and cot available on request). 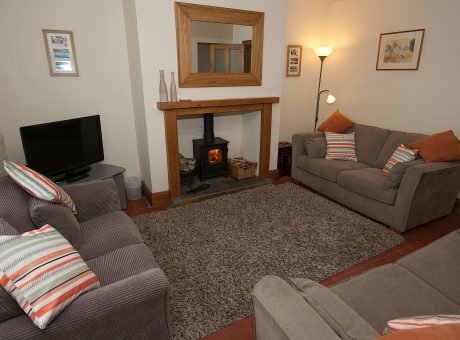 On the ground floor of this traditional farmhouse you will find a fully equipped kitchen, spacious dining room, living room with wood burner and TV, and twin bedroom with en-suite wet room. 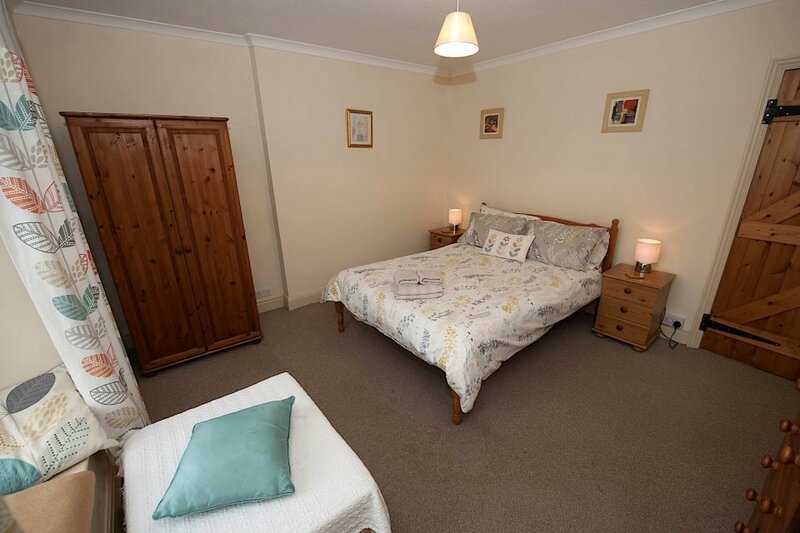 Three bedrooms and bathroom facilities are situated upstairs; these consist of the master double bedroom, a second double bedroom, a twin bedroom, bathroom (with bath and over bath shower), separate WC and shower room. 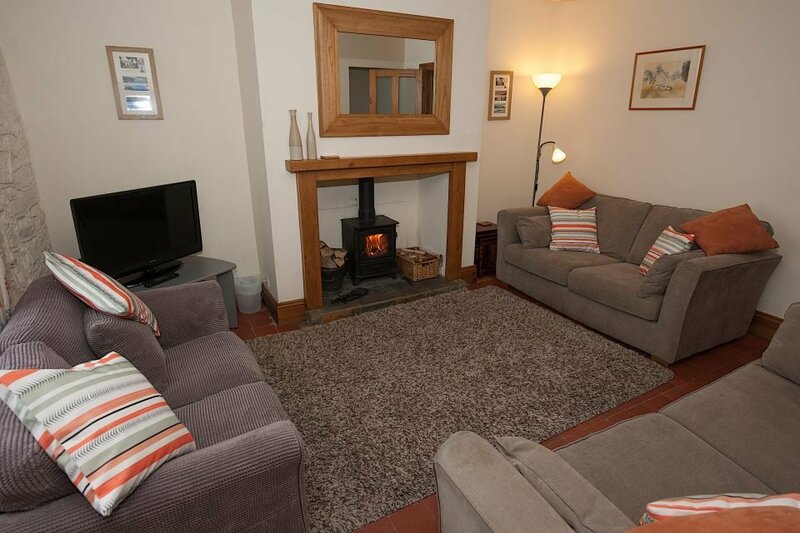 The property is fully central heated. 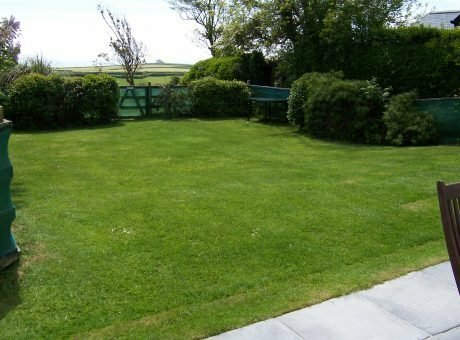 Outside there is a large enclosed south facing lawned garden and patio and ample off road parking for at least two cars. WiFi available. The adjoining Bus House is a ground floor accommodation. 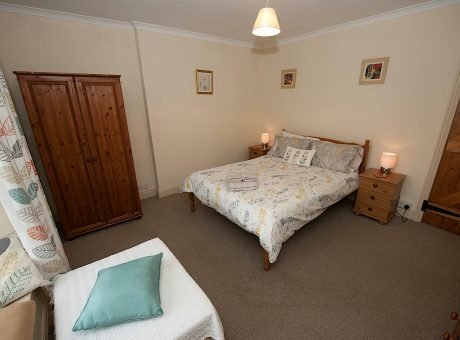 It will comfortably accommodate up to 4 people in a large family bedroom. There is a large lounge/dining room with TV and DVD player. 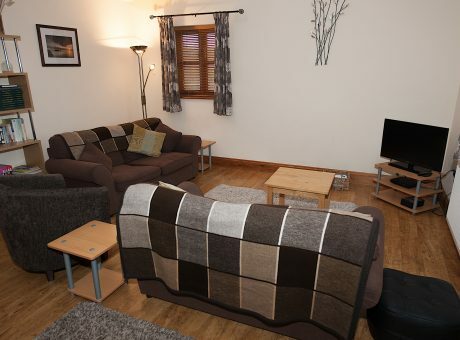 There is also a fully equipped kitchen and bathroom (with bath and over bath shower). The sofa bed in the lounge offers more flexible sleeping arrangements. WiFi available. Outside there is an enclosed patio area and private parking. The Farm House and Bus House, although adjoining, are totally separate and have separate entrance and parking. 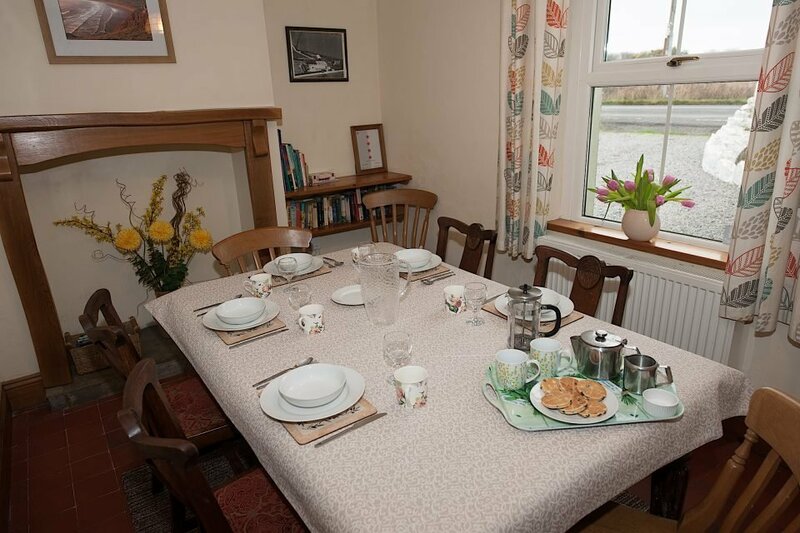 For a family gathering or friend’s reunion, combine the Bus House and the Farm House to sleep up to 12; ideal for summer holidays, Christmas or New Year or that weekend get together. 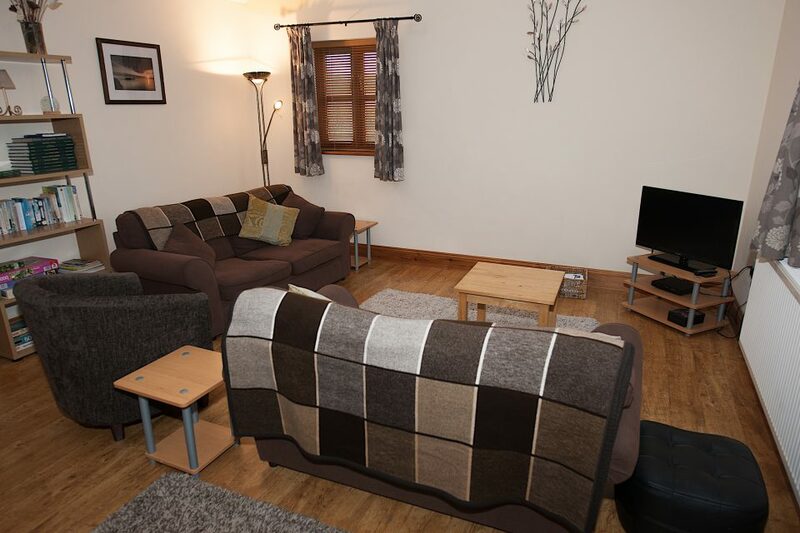 Short breaks (minimum 2 nights) are available at weekends or mid-week. 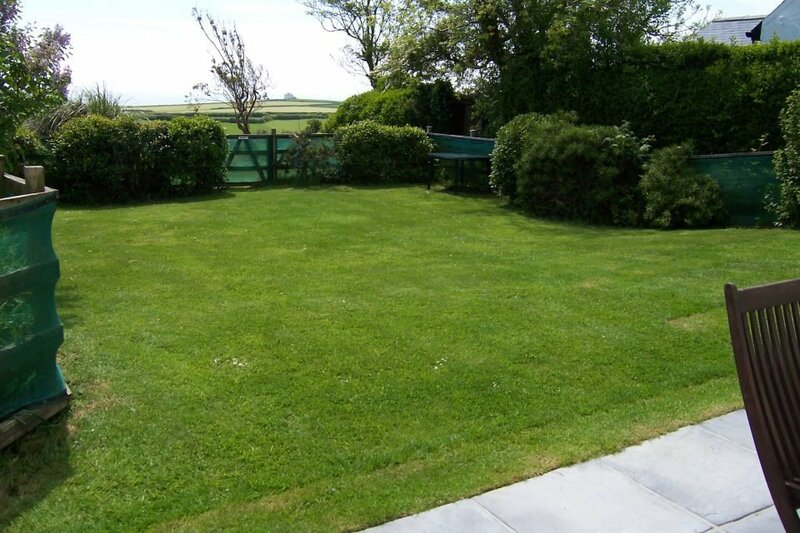 Pitton Cross is about a mile from the village of Rhossili with a public house, restaurant, gallery, gift shop and church. It is within walking distance of the beach, the Wales Coastal Path and the Gower Way. There are a number of beaches within a short drive of Pitton Cross. 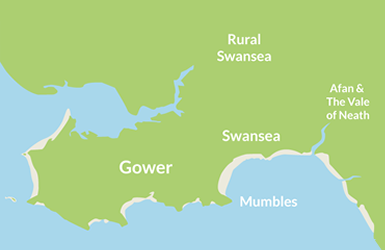 The city of Swansea is just 30 minutes away by bus or car. The bus stop is just outside the entrance. The nearby campsite shop is open all year round.